The guestroom telephone just got smarter! What happens when you merge contemporary, colorful, and sophisticated styling with the function and convenience of smart device technology? You establish a new definition of hotel guestroom telephony. M Series by Teledex is more than just a phone. It’s an integral component of a well-designed, contemporary guestroom that delivers an enhanced in-room telephone and media experience. M Series. 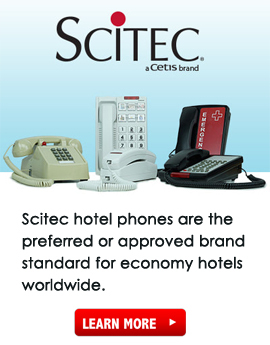 Changing the way your guests use the in-room phone.